Wow! The weeks have just flown by. We had camp last, week and now swimming for next two. Too see some of our amazing learning and experiences so far visit out blog here. In terms of my MIT inquiry, I have planned and started Key Competency sessions in the afternoon. Hearing Helen's success with the KC's inspired me to implement them successfully in the classroom, and they have been working wonders. I have decided to implement the Key Competencies because my inquiry revolves around promoting high order thinking for all learners, especially those who stuggle to succeed at all five. 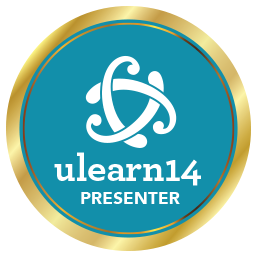 I used a presentation to base out sessions by (link here). 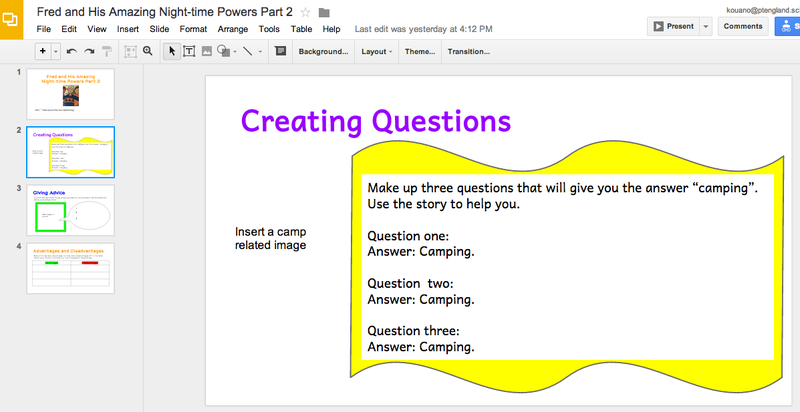 Each session we talk about one KC, share ideas, deconstruct the words, and create a lovely slide about each one. 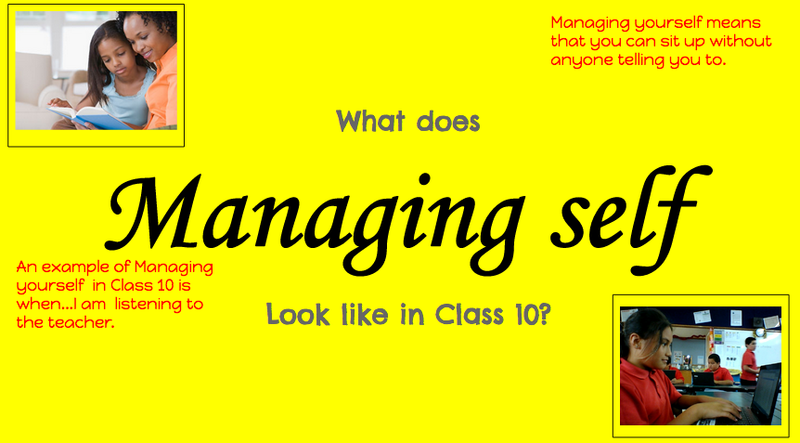 So far we have covered - managing self, thinking and participating and contributing. It is truly amazing how powerful they are if you really make a big deal out of them, integrate them throughout the day and if the kids truly understand them in real life contexts. I have also incorporated them into my class rewards system 'Class dojo'. It has been a great way for the kids to think about which KC relates to certain behaviors. I am yet to cover the last two KC's, and hoping we will be done by the end of the week so I can start thinking about our next steps. 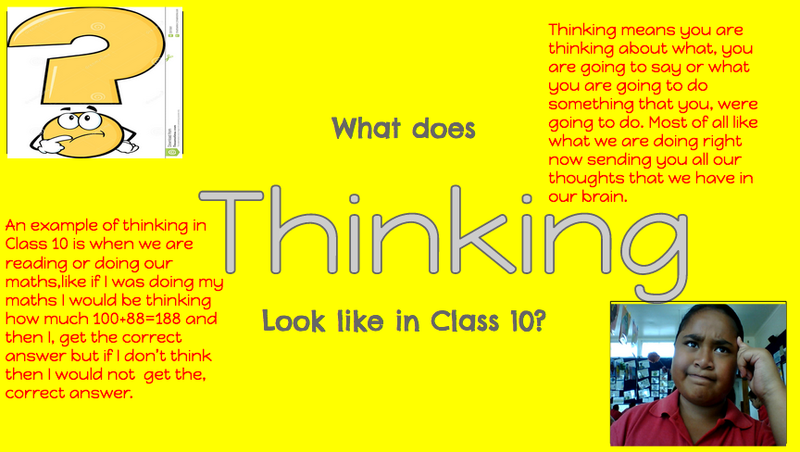 As for the high order thinking, at the moment I am stepping it right back to simply thinking! It is interesting how a day could go by and we possibly get through it without really thinking deeply. I have been focussing the thinking during reading time - So when we are reading in small groups, I have been getting the kids to fold their arms once they have an idea/answer, and we wait for everyone to think, I will sometimes choose someone who particularly looks like they have new clue in order to force them to think. In terms of follow up, I am encouraging them make more inferences about the text (example here). 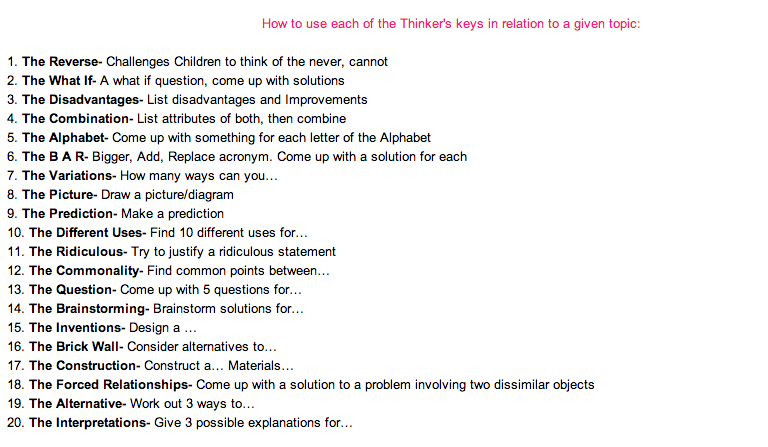 A colleague of mine suggested I look at the thinkers keys. At the moment I am in the middle of making a generic thinkers key presentation that could relate to any topic, and use these for future lessons. The Thinkers Keys are twenty powerful strategies for generating quality thinking in many learning situations. To find more info on the thinkers keys click here.